Three years ago, I hit publish on this post. I threw together created this blog on a whim as part of a graduate school class assignment. There was no real thought process behind it. I didn't think about creating a brand or starting a business. I didn't know about SEO or HTML (confession: I still really don't), I had a Twitter account that I never used because I thought Tweeting was stupid (I know, I know...) and I didn't even know that blogging was a real thing. Last week, I attended the LATISM conference (in my hometown of NYC) and was recognized - for the 2nd year in a row - as a Top Bloguera. Three years ago, I had know idea that there was this whole world of Latina bloggers waiting to welcome me and accept me as one of their own. When I think about where I was then and where I am now...DAMN! I've come a long way. In three years I went from wanting to be a writer, to being a writer. A real writer. I graduated with a Masters of Fine Arts degree and used this blog as my thesis. And I believe that one day, it will be published. There are so many people in my life who don't get what I do. And there are some people who sort of smirk and roll their eyes when I tell them I write a blog. But in these last three years, I don't think I've ever worked as hard. Blogging is hard work. And it's the most rewarding work I've ever done. 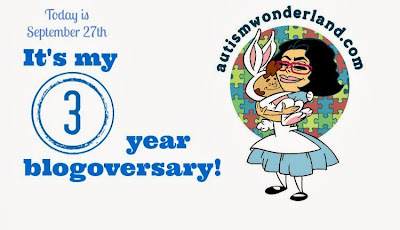 Three years ago, I started this blog because I was in the midst of a crisis - I didn't know it then. (That's a whole other blog post...coming soon.) I had fallen down this rabbit-hole and was trying to claw my way out. 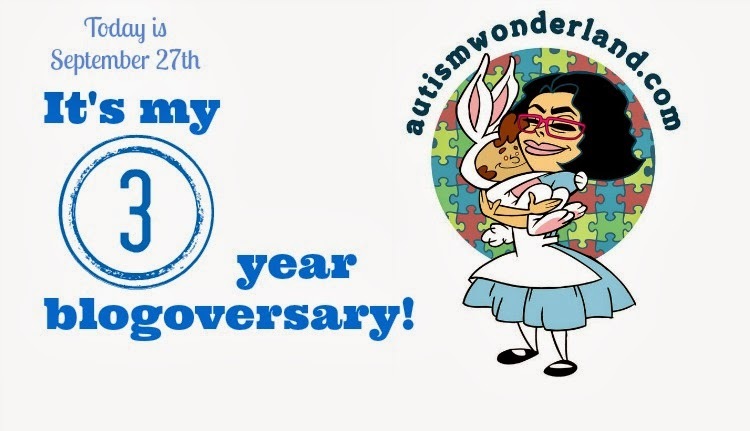 The more I write, the more years go by with The Boy and the more I learn about autism, I feel less and less like Alice. Thank you all so much for your support, your words and your advice. I couldn't have gotten this far in my journey without you.